Travelling to New Zealand to study? Whanganui High School is a modern co-educational school of just over 1500 students and around 150 teachers and support staff. The school is located in Whanganui in the region of Whanganui-Manawatu, New Zealand and occupies 12 hectares, including 12 single-storey teaching blocks. There is also a whare, three gymnasiums, playing courts, extensive sports fields, sports turf, modern library, a canteen, performing arts area, and our Te Atawhai Unit, which is designed for students with special education learning needs. 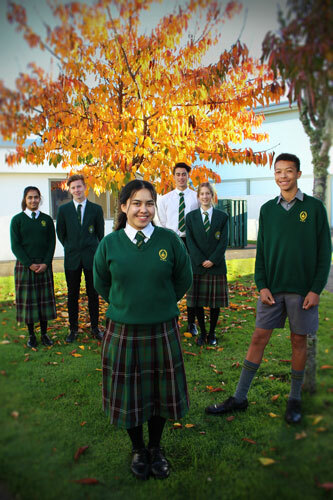 Whanganui High School prides itself on caring effectively for individual students in a quality academic environment. The school provides a balanced education for all students from Year 9 through to Year 13. In terms of academic achievement our students’ achievement places the school very well academically within the top co-educational secondary schools in New Zealand. Whanganui High School is also highly regarded internationally as evidenced by being Confucius Institute accredited and having up to 80 foreign students from a range of Asian, European and South American countries studying with us throughout the school year. The Whanganui High School community strives to ensure that all students are given the opportunity and support required to reach their potential in all aspects of their education. By choosing Whanganui High School you are selecting a leading school that is committed to ensuring your son or daughter reaches his or her full potential. What's Happening at Whanganui High School?